Europe is facing a refugee and migrant crisis: tens of thousands of desperate people from Africa, the Middle East, and Asia are crossing thousands of kilometers of dangerous terrain and braving the Mediterranean in appalling conditions, to strive for a better life for themselves and their families. Hundreds perish en-route, often tragically in the last stretch of sea before they reach the European coastline. For those that arrive safely, the struggle continues. Local government agencies and infrastructure have proven unable to cope with the sheer number of people arriving and in need of aid. There is a great deal that private individuals and organizations can do to fill the gaps and help the thousands of refugees and migrants in Europe. 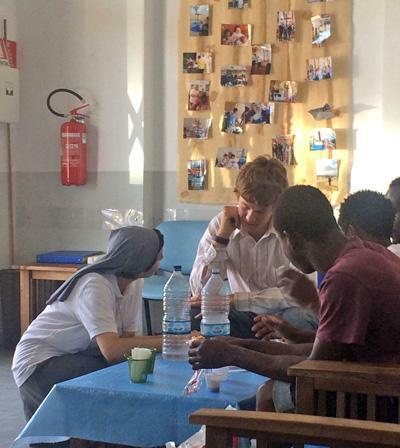 Projects Abroad has partnered with local organizations operating in southern Italy to work directly with refugees and migrants. We have placements in the town of Camini, where you will focus on helping refugees integrate into Italian culture and with local people. You will help facilitate activities for both refugee families and Italian families in Camini, to incorporate both groups in the integration process. Helping out at day care centres and providing care for children so that their mothers can attend language and integration classes. Participating in social events for women’s groups to help them interact with the local community. Teaching general skills (such as basic IT). Interviewing refugees and migrants to assess their needs and expectations around life in Italy and their plans for the future. Plan and run social activities for the community. Here, you can also choose what to introduce. Previous volunteers have organized walks, movie nights, and a beauty salon evening. During your stay, you will also be able to assist with organizing events where refugees can learn more about health and education, and how to access these services. To join this project, you need to be at least 18 years old. A large variety of skills and expertise are needed at the Refugee Project. Each volunteer has something to offer and there is also a lot of space for you to contribute your own ideas of how to help, regardless of experience or skill level. Due to the urgent and unpredictable nature of this project, there is room for volunteers to use their own initiative in collaboration with the local partners and staff. 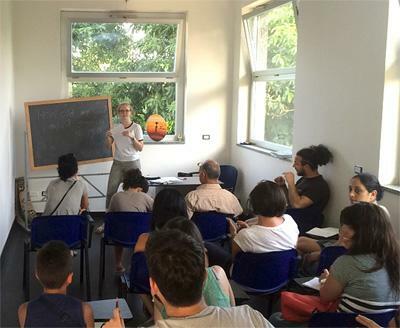 The Refugee Project in Italy is available from 2 weeks if you do not have time to join us for 4 weeks or more. This project has been selected by our local colleagues as being suitable for shorter durations for both the host community and the volunteer. Although you will gain valuable cultural insight and work intensely within the local community please be aware that you may not be able to make the same impact as someone participating for a longer period.